Working with Prof. Njoki at Hampton University, we recently published in ACS Applied Nano Materials a study that completes our work of focusing on alloying at Au/Ag interfaces under hydrothermal temperatures and microwave heating. In this study, we used electrochemistry to better understand alloying and the composition at the particle interface. Emily's article on understanding perovskite surfaces using 1D and 2D NMR has been published at Langmuir! 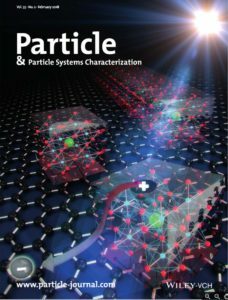 Our collaboration with Dr. Mircea Cotlet at BNL on studying energy transfer between nano-perovskite's and 1D surfaces was recently the feature cover article in Particle. 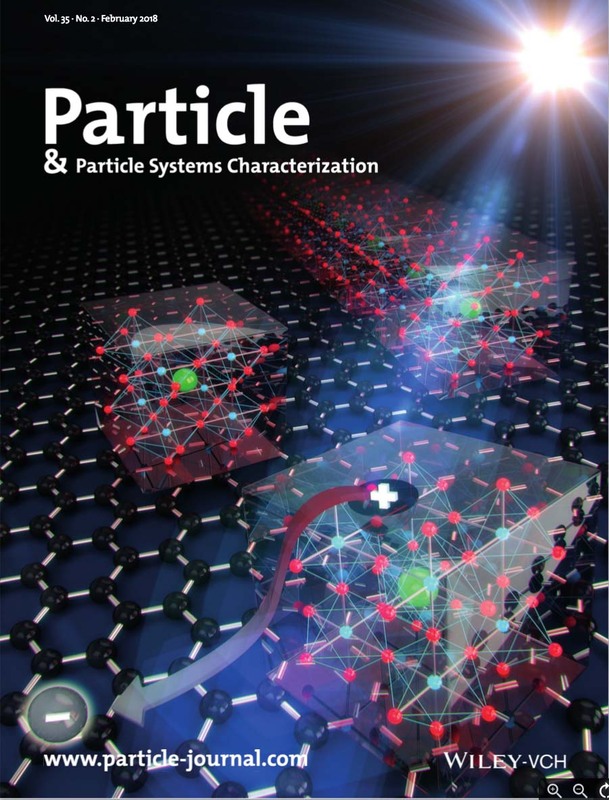 (LINK) In this project, our lab designed and synthesized a number of CsPbX3 particles, which were combined with MoS2 and graphene in the Cotlet lab and charge transfer (electron and hole) was studied using single molecule spectroscopy. On July 2, Laxmikant successfully defended his Ph.D. dissertation, "Design & Synthesis of Stainless Steel Nanoparticles: Oxidation Behavior and Morphological Evolution". Congrats LP and good luck! Liliana Karam defended her thesis, "The Bio-Nano Interface: Investigating the Roles of Nanoparticle Morphology, Microstructure, Optical Properties and Surface Chemistry for Biological Applications" on June 7. Congrats Lili! Congrats to our undergraduate researchers Kevin Cruz-Lopez and Michael Klaczko, who graduated this spring as Chemistry Majors. Good luck in Medical and Graduate School! The Maye lab joins the newly formed Syracuse Soft & Living Matter group, with Prof. Maye being an executive committee member. The lab's work will contribute towards the Bioinspired Materials & Active Matter research thrusts. The Maye group welcomes new Ph.D. student Hediyeh Zamani to the group! Prof. Maye's patent on "Bioluminescence Resonance Energy Transfer between bioluminescent proteins and semiconductive nanomaterials" granted by USPTO. Congratulations to Dr. Tennyson Doane, who has been hired by his alma mater Eastern Nazarene College as an Assistant Professor of Chemistry. Prof. Maye's patent on core/alloy nanoparticles with stainless interfaces is granted by the USPTO. The Maye group welcomes new Ph.D. student Emily Yerdon, who will be leading our studies in the ion exchange of perovskite nanoparticles. Dr. Tenny Doane named Research Assistant Professor by SU Chemistry! Lili, Laxmikant, Yuetian, and Tenny will present at NERM next week! Laxmikant's study of oxidation in Fe/Cr/Ni nanoparticles accepted in the Journal of Physical Chemistry C! The May lab will have seven presentations at this summers ACS National Meeting in Philadelphia. Both Kevin and Yuetian awarded Best Poster Awards at ACS Colloids poster session! Congratulations to Dr. Alisha Lewis on successfully defending her Ph.D.!! She is the first IGERT fellow to defend at Syracuse University. Alisha to defend her Ph.D. thesis on July 21st! Prof. Maye visits and presents at PPG and tours Coatings Innovation Center! Tenny and Kevins Perovskite paper highlighted by SU News and others! Tenny's new paper on using perovskite nanoparticles as colorimetric probes of chemical reactions and ions is published in ACS Nano! Congratulations to Dr. Rabeka Alam (Ph.D. 2013) who will start as Assistant Professor at SUNY Geneseo this fall! Welcome to the Maye research group homepage. Please select a link above to learn more about our research portfolio, our team members, recent classes, and the latest group news.